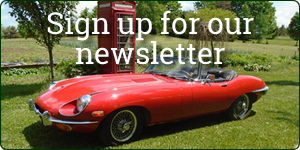 Specialists in vintage British cars, Jaguar, Triumph, Lotus, MGA, B and C’s. KM British Cars has been in operation for over 30 years. We maintain a selection of British Classic Cars for sale. KM British Cars are specialists: we offer a wide selection of new and used car parts. Shop services are available from May-October. Professional car appraisals upon request as well as consultation on restoration projects. Check our current inventory of restored and project cars for sale. MG, Truimph, Jaguar, Lotus, Austin Healey, Other. Check our current inventory of restored and certified cars for sale. Click a logo below. Lots of other parts, call with your request!